This game is a basic side-scrolling runner game that is part of the Walinwa platform. The aim of the platform is to provide funny and entertaining ways for the children to learn Spanish language ortography. It uses web technologies and runs in the browser. You have to avoid capturing the wrong words according to certain rules and catch the rest, avoid enemies and pick coins for extra points. The game increases speed as the player progresses. This game is part of the same ortography platform than WalinRunner. It also runs in the browser and uses web technologies. 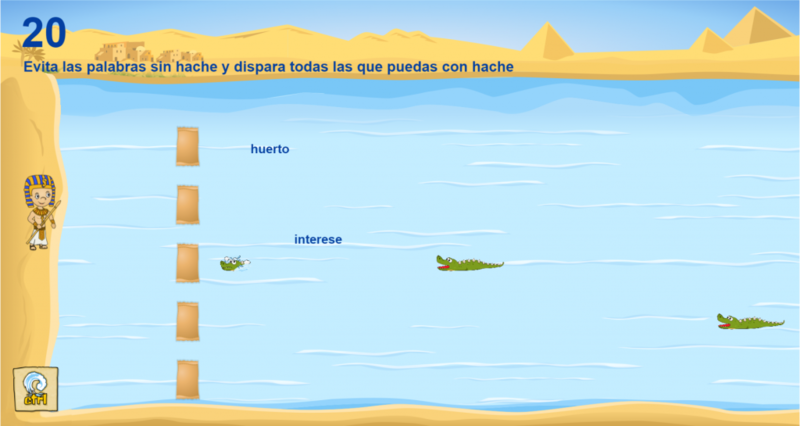 In this game the goal is to get rid of the crocodiles before they get to the beach. 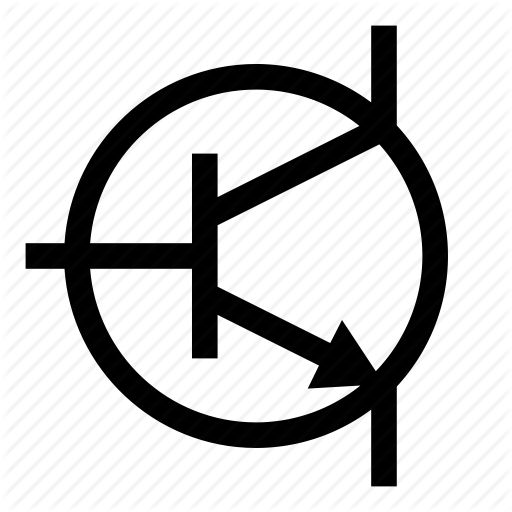 You can also shoot to the different words that will, according to the rules, give you extra points or take them away from you. There are two weapons, a wave that cleans the screen and sandbags that give a small extra protection to the beach. 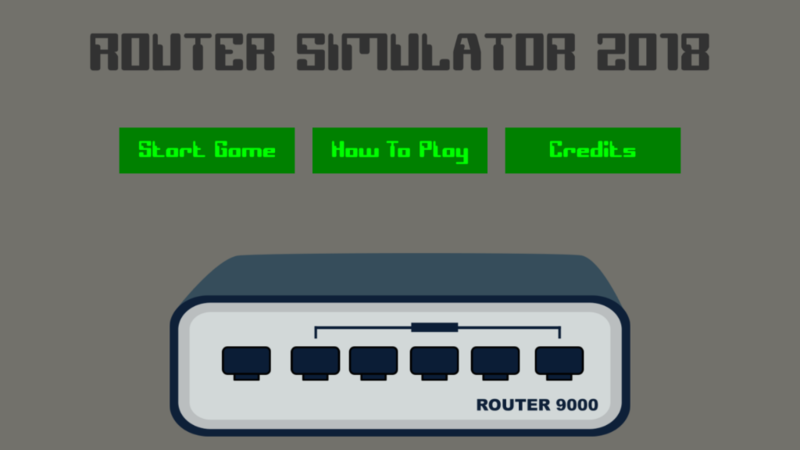 The theme of the Global Game Jam 2018 was “transmission” so we decided to make a game in which you become a router. The goal of the game is to distribute the packages that you receive on the input to the different outputs, that will make the package reach the next node in the network. In order to do that properly, you have to follow rules based on port, origin and destination IP… the difficulty increases progressively, with more filtering rules, and also the chance to receive a DoS attack. 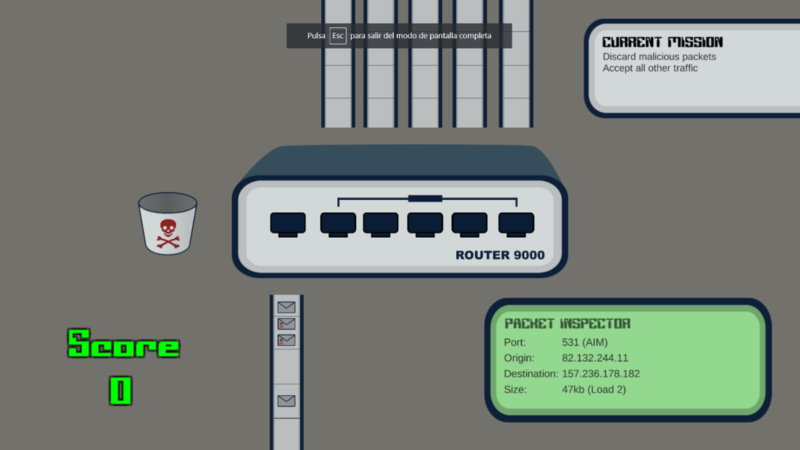 The game can be played online here.